Formed in 1982 and headquartered in Maryland, EPIC Pharmacies is a buying group of over 1,500 independently owned pharmacies across the country. We offer a full range of programs and services and return net revenues to members through monthly and quarterly distributions. A wholly owned subsidiary of EPIC Pharmacies formed in 1992, EPIC Pharmacy Network (EPN) provides centralized contracting and administrative services to pharmacy benefit management (PBM) companies, HMOs, and other third-party payers for nearly 1,700 independent pharmacies. As an EPIC Pharmacies member, each pharmacy can apply for a membership in EPN. PharmCAP was developed to assist independent pharmacies in managing the complicated mandatory compliance requirements for Medicare Part D, CMS, Office of Inspector General, DEA, and other federal and state regulatory authorities, as well as third party payers. 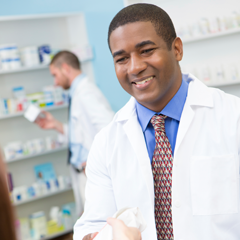 Established in 2016, the Clinical Programs Department helps independent pharmacies achieve clinical success, diversify revenue streams, and improve performance and patient care in today’s rapidly changing pharmacy landscape. Led by an in-house PharmD, team members help independent pharmacies succeed with Star Ratings, pay-for-performance, and medication therapy management (MTM) using personalized assistance, comprehensive tools, and online resources, including the Clinical Performance Dashboard.